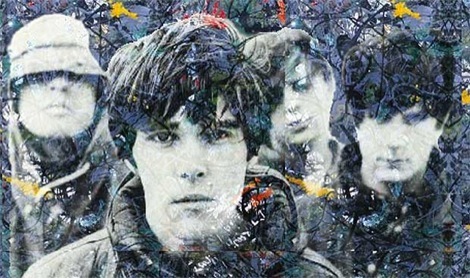 What the world’s been waiting for – the third coming of The Stone Roses happens this weekend at Manchester’s Heaton Park. Getintothis delivers our top 10. 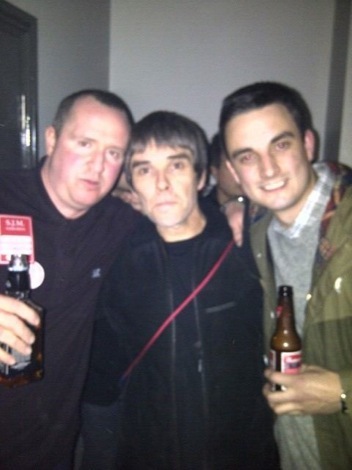 Regular readers of Getintothis will be well versed about how The Stone Roses brought about a lifetime love of music. 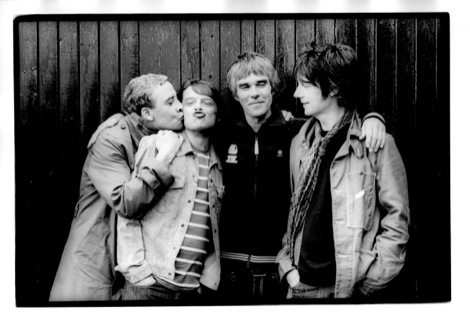 Now, arguably the greatest band these shores have ever produced are back this weekend, playing three shows at Heaton Park – three shows which became the fastest selling rock gigs in UK history – with all 220,000 tickets selling out in just 68 minutes. Their crowning glory, the fusion of four of the greatest players of British rock music melding a chemistry so special it’s pure gold dust. 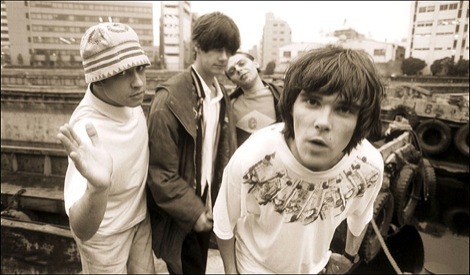 Three and half minutes of perfect pop underscored by lyrical bite and coded spiritual metaphor before five minutes of genius musicianship is unleashed showcasing each of the band’s devastating ability; John Squire‘s effortless fluidity around the fretboard, Mani‘s tribal swaggering bass line thrust surging deep into your belly and Reni‘s lightning liquid-sword attack around the kit. A true wonder of modern rock music. Hats off too, to the man who set the controls to the heart of the sun – John Leckie – the key to capturing all those distant whistles, roars, whiskers of brilliant light and shade, guitar-neck scratches, drumkit rattles – it’s all there. Eight minutes 13 seconds which changed dancefloors around the world forever. Quite possibly the best intro of all time (I’ll repeat that line later!). A glistening crystalline shoot of light married to Reni‘s hi-hat groove before Squire delivers his Byrds-like jangle. You can bet your life, every Scouser at Heaton Park will be singing their heart out to this one and changing that lyric ‘River cool’s where I belong,‘ to something a little closer to home. The early seeds are sown with this cute slice of salacious peach of pop heaven. 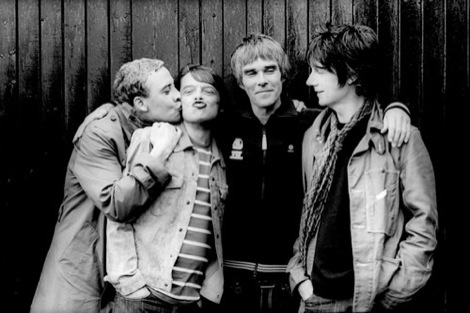 From Squire‘s distinctive searing guitar lines to Reni‘s relentless funk strut and back to Brownie’s devilishly sexual lyrical undertones this is the Roses finding their stride in glorious, yet almost naive, fashion. Timeless. Like Lennon and McCartney or Morrissey and Marr, Squire and Brown‘s knack for penning the perfect pop song was delicious. And this classic is top of the pile. Yet, like Led Zep‘s John Paul Jones, it was bass player Mani providing that secret special ingredient. That distinctive rubbery intro run is the signal for a million and more heads going off big time during three minutes of sonic euphoria. Just make sure you’re out of ear shot when the beer-fuelled masses try and reach the ‘way I feeeeel,’ high notes. Ouch. After five years in the wilderness, it takes an audacious band to return with an eleven minute marathon. That said groove resembles nothing in their back catalogue and opens with four and half minutes of swamp-drenched jungle-aping cacophony is a masterstroke bordering on career insanity. Few could pull it off, many critics left the party disillusioned – only the fans knew the Roses had netted a stone cold beast of a record. Years later The Second Coming has been completely re-evaluated in most circles as the great, if arrogantly expansive, record, it truly is – and in Breaking Into Heaven it has the majestic opener. Vast oceans of rhythmic clout, colossal Jimmy Page guitar riffs and more lyrical swagger than Liam Gallagher at a hall of mirrors convention. The funny thing about Fools Gold is that it’s almost impossible to detach it from a legion of Cressa imitators jiving like mullered chimps in the last chance saloon. It is to daft dancing what Wonderwall is to crap buskers. Yet heard in the right context – preferably on headphones while taking a stroll – it retains all that effervescent majesty imbued with enough avant-garde loose Can-isms (think Ege Bamyasi circa ’72), that it’s impossible to marvel at what a rare treat it is. Take a listen again to those last two minutes which are essentially Reni‘s rollicking off drum rolls amid a plethora of unfathomable noises, echoes and looped guitar shudders and then try to think of a band in recent times that’s had the bravery to lash out a 12″ single of equal merit. A rarity, indeed. People forget that there were numerous moments of straight-up pop gems on The Second Coming; Tightrope had that camp fire charm, How Do You Sleep was so effortless it almost seemed throwaway while Your Star Will Shine was a stripped back beauty. Best of all was Ten Storey Love Song – a towering singalong as life-affirming as they come. Quite possibly the finest opening to any record, ever (did I say that earlier?). That industrial rumble, twinned to Mani‘s unforgettable bass line, is Northern England captured in a moment. And when John’s glistening guitar shatters the dusky darkness with spears of light the effect is alarming and stunning – marking the arrival of something quite incredible. What follows is a rock n roll hymn of naked intent and inspirational self-belief. Adored? And the rest. Silvertone compilation Turns Into Stone is littered with classics, Something’s Burning has that whacked out, mind-altering groove, Standing Here has the distinctive blues hooks with deft melodic craft while Where Angels Play really comes into it’s own when they tear it up live. Yet it’s another classic ditty showcasing Brown‘s foxy wordplay playing footsie with Squire‘s hazy come-to-bed melodies which completes our top ten picks. While we we’re on the Top 10 front, we couldn’t pass up the opportunity to ask the band’s official biographer, superfan and first ever GIT Award host, John Robb for his Top 10 Stone Roses. Getintothis‘ Top 10 greatest UK debut records. 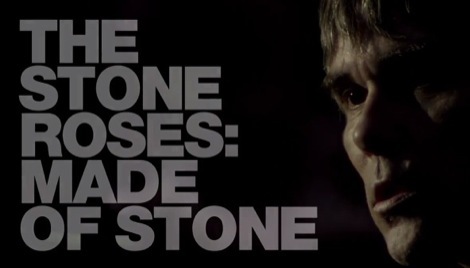 The Stone Roses: Made Of Stone The Stone Roses: Beautiful Thing Stone Roses set for Liverpool ECHO Arena date as Ian Brown escapes ban The Stone Roses, Public Enemy, Blossoms: Etihad Stadium, Manchester Stone Roses’ Ian Brown and John Squire reunite for Hillsborough Justice Tour Stone Roses’ Ian Brown in Parr Street Studios as new solo album reportedly in the works Stoned Alive: The Stone Roses – Standing Here Guns N Roses return – down to Paradise City or back to the Jungle?